On July 25, 2018, YouTube pulled down four videos by Infowars, a website run by ultra-right-wing conspiracy theorist Alex Jones. A day later, Facebook followed suit, pulling down three videos that had been recently published and one that had been flagged a month before but was mistakenly cleared by the social network’s content reviewers. Naturally, Jones retaliated. 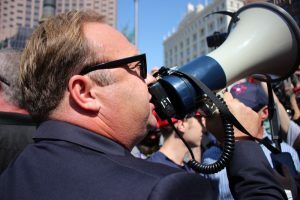 “YouTube has removed four Infowars videos that were critical of liberalism,” he said in a statement on social media, encouraging people to visit the Infowars website and decide for themselves if the videos should have been deleted. Social networking sites like Facebook, YouTube, Twitter, and even Reddit, serve as a place for people to express their views. However, because social media sites are owned by private businesses, they typically have their own policies about what kinds of speech are and are not allowed on their platforms, and the First Amendment doesn’t apply in these cases. So, if you want to use racial slurs or sexist language in public, that’s one thing; but private companies can decide what kind of dialogue and language they will allow—and if you violate those guidelines, you can expect to be removed, either from the premises of a brick-and-mortar business or from a social media site. Isn’t it odd that Jones jumped immediately to visions of a vast conspiracy to keep his “patriotic” views from the masses rather than reading the terms of service he agreed to when he established accounts on Facebook and Twitter? Let’s take a look at the relevant sections of those terms of service. Facebook, for example, says that it forbids hate speech on its platform because it creates an environment of intimidation and exclusion and in some cases may promote real-world violence. What exactly does Facebook consider hate speech? “Hate speech refers to content that promotes violence against or has the primary purpose of inciting hatred against individuals or groups based on certain attributes, such as: Race or ethnic origin, religion, disability, gender, age, veteran status, or sexual orientation/gender identity. This isn’t the first time Jones had received feedback that he was violating the platforms’ terms of service. According to CNBC, Jones had violated Facebook’s content guidelines multiple times, which resulted in a 30-day ban during which Jones could not access the platform. Although Facebook has received pressure to remove Jones’ Infowars page and Alex Jones fan page, the network said Jones’ comments on those pages didn’t violate its community guidelines and didn’t warrant being removed. Jones’ references to Special Counsel Robert Mueller as a “monster” and a “demon [he would] take down” apparently don’t rise to the level of hate speech for Facebook, even though they could definitely promote real-world violence. 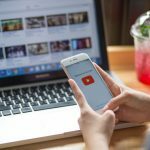 YouTube, on the other hand, said in a statement that, “We have long-standing policies against child endangerment and hate speech. We apply our policies consistently according to the content in the videos, regardless of the speaker or the channel.” That makes sense, since the videos deleted from Infowars’ channel featured images like a man shoving a young boy to the ground (in a video titled “How To Prevent Liberalism”) and comparing the creators of a cartoon featuring animated drag queens to Satanists. While there are numerous people who will fall in line with Jones and accuse Facebook and YouTube of violating Jones’ First Amendment rights, we should point out that First Amendment rights are related to government censorship, not the right of a private business to do what it wants with its own platform. If a baker can refuse to bake a cake for a gay couple’s wedding, why shouldn’t the rights of an individual business to do things that have a side effect of aggravating alt-righters be given the same respect? Facebook and YouTube (and all other major social media platforms) have terms of service, to which anyone who signs up for those platforms has to agree. If Infowars and Alex Jones are punished because they violated those terms of service, that’s not a First Amendment violation; it’s a terms of service violation by Jones himself.